We're here for you. Send us an email or call us. You can reach us via phone from Monday to Friday from 08:00am - 06:00pm (CET). Seriously: How do you manage to sell premium quality blades at such a bargain? We concentrate on what we think counts the most: to give a really good shave to a fair price. Not more, not less. We sell our products only online, our handle doesn't vibrate and we stop at 5 blades. The result: We sell reasonable-priced blades in a good quality and we send them monthly to your doorstep. Mornin' Glory now also sells grooming products? You wanted it, we did it. We don't sell blades only, but also high quality grooming products which are inevitable for a good shave. We took a lot of time and engagement for our grooming products to have them manufactured and to offer them for a fair price. The result: high quality grooming products made out of natural ingredients made in Italy. Is Mornin' Glory exclusively selling online? Yup. For a reason: Online, we can offer you quality blades for little money. It’s much easier to communicate with you online. You can also manage your delivery plan online and you always know what’s going on. Plus, you don’t have to fight your way through the supermarket and possibly have to wait for the cashier to open the safe including the blades. That’s better for everybody, right? Right? Where do these great blades actually come from? After some thorough steel searching we finally found a factory in the US that provides us with durable blades. The USA are known for their good blades. Furthermore we found a great partner in our manufacturer. 3 or 5 blades, what’s better? That always depends. Why? Because different men have different hair. Some have thicker beard hair, Some don't. Some have a lot of beard hair, some have less. Also some men's skin doesn't care about shaving, some other skin is pretty sensitive. It depends on you and your feeling while shaving and after he shave. We recommend less blades when you have a sensitive skin. If you have a lot of beard hair we recommend the five-blade-cartridges. The best is to try them both. This way you can find out yourself what's best for you. How often do I have to change the cartridges? In general we recommend to change the cartridges after 7-9 shaves. Why? Over time bacteria and blood particles will accumulate. Washing the blades doesn't help after some time. These bacteria can get into your skin through micro cuts. This irritates your skin, itchiness and burning appear. Better knows as razor burn. Sometimes also little pimpels will occur. Hence we recommend to change the cartridges before you regret it. Can my girlfriend use my blades, too? Of course! Our blades and grooming products are also suitable for women. Do your blades fits on other handles? We thought of everything: Our blades are exclusively manufactured for our handle called "Rover". But, no worries, we add it to every starter kit and the subscription – for free! Otherwise you can also buy it separately. I am really strong - I broke the handle. Respect! You're one of our strongest customers. No problem: You can buy the handle "Rover" in our shop! Do you produce the grooming products yourself? Our grooming products are manufactured throughout Europe. Our partners produce them with consideration of our wishes and under our guidelines. This is why we keep an eye on it all the time. What's in your grooming products? Our products are produced with natural ingredients. In the detail description of the grooming products you can always find the list of ingredients. If you have further questions, just write our customer serivce. They're happy to help. I have a skin allergy. Can I still use your products ? Our products are made with only the best ingredients. Still, we cannot guarantee that our products are suitable for everyone. Should you experience irritated skin after the use of our products, we advise you to stop using the product. It is best to try the product on a small area of your skin (i.e. the crook of your arm) to see if you might be allergic to the product. If you already know of allergies you can check the ingredients list for every product directly on its page. What subscription options do you offer? We offer the 3-blade-cartridges and the 5-blade-cartridges. You can choose the delivery interval between one and six months. How long does the plan run? Once started, your plan runs as regularly as your beard grows. It only stops if you deactivate the plan. Is there a cancellation deadline? Of yourse you can end your subscription anytime. Please keep in mind that there should be more than 10 days until the next delivery. Otherwise one more package with blades will be sent. But: just let us know beforehand. Maybe there is something we can do? How could that have happened? Send an email to our efficient Customer Service team at support@morninglory.com and we'll get it sorted. Inside the Mornin’ Glory world you can change the subscription the way you want to. You just have to log in on www.morninglory.com and you can click on 'edit subscription' in your profile in the section 'subscription'. This is where you can adjust the subscription to your wishes and needs. Please don't send us your payment data via email. That is not safe. 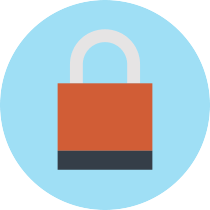 Our website is encrypted so you can safely change your payment data or the payment method in your profile. Due to security reasons we don't have access to your payment data and we can't change your payment method. Do your deliveries fit in my mailbox? Yes! Yes, the blade subscription packages do. And that’s very important to us. It would be a little weird to spare you the hassle of going to drugstores and supermarkets, but then ask you to pick up your delivery at the post office, right? The starter kit is a little larger than the subsequent deliveries, that's why it is sent by DHL or Hermes. The subsequent deliveries are definitely thinner than the starter kit and will fit effortlessly into your mailbox. Grooming product packages are sent via DHL/Hermes and therefore need to be signed for by the recipient. How much do you charge for the shipping? We negotiated for days and nights with Deutsche Post, but finally we got what we wanted: shipping is free for blade subscriptions! No delivery costs in Germany when you order for more than 20 EUR, in Austria it's free if you order for more than 30 EUR and we send it for free to the rest of Europe when you order for at least 50 EUR. Mornin‘ Glory ships to all European countries. Unfortunately there are a few countries we can't send to. That includes Russia, Turkey and Bosnia and Herzegovina. When do I get my delivery? In the order confirmation you can see the approx. delivery time. I'm sorry, we cannot ship to post boxes. But you can send them to a Packstation. I didn’t get my delivery (yet). What should I do? Firstly have a look on when the last shipment date was. Subscription deliveries can take up to 7 business days with Deutsche Post. Packages sent with DHL/Hermes should arrive within 3, maximum 4 business days. It's still not there? Then do something! Check your mail box. Maybe it's at your neighbours or in the DHL store? Or just ask our Customer Service, they're happy to help you: support@morninglory.com. After completing your order, we charge the amount for your first delivery immediately. If you ordered a subscription, you will be charged for your recurrent deliveries up to 10 days before the next shipping date. You can find the next shipping date in your profile. From Germany you can pay with credit card, via invoice, via direct debit, via immediate bank transfer and via paypal. Direct debit ist just possible for customers from Germany and Austria. Important: We don't save any payment data. They'll be saved on a server of an external payment provide, who fulfills highest security standards. Is it possible to pay in advance or to build up credit on my account with you ? Payment is only possible using the displayed methods of Direct Debit, Credit Card, immediate bank transfer, invoice or PayPal. Payment in advance is unfortunately not possible. I want to give away a Mornin’ Glory subscription as a gift. You can always order and use a different shipping address if you wish to surprise someone with a regular blades delivery. There is no invoice in the package. Or you can give away a gift card. I've forgotten my password. What should I do ? On the sign-in page you can create a new password, when you click on 'Forgotten your password ?' We will send you an email that leads you to a page to create a new password. If you have further questions please don't hesitate to write the customer service. We need your email address so that we can send you your invoice and delivery confirmation. We promise not to use it to get on your nerves or to pass it on to third parties without your permission. Why have I got to register for a subscription?